I had a chance to get an all access pass to the most recent DX3 Canada conference for digital marketing and innovation. 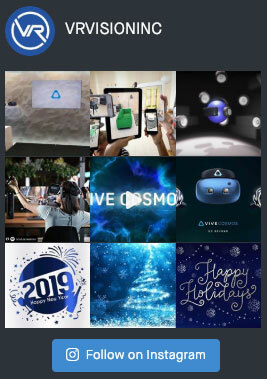 I wanted to go to see what kind of synergy VR Vision could have with modern companies and utilize our expertise and technology to help advance business. I came armed with a pocket full of business cards, my mind, and a venti grande from Starbucks to keep the motor running. Overall the show floor was packed full of businesses that were looking to expand into different markets, and many of the conversations I had showed extreme interest in the Virtual Reality markets. I wanted to get a sense of where businesses are going with technology and I wanted to interact with the vendors to see where a fit could be for working together. I also wanted to see what other VR companies were in attendance while picking their brains for innovation and ideas for growing our business. I started out at the Samsung booth as they had a few demos up and running for people to try out with their Gear VR offering. They were showcasing the Galaxy S7 edge with a Gear VR for users to check out a simulated skiing experience. The experience was fitted with full out simulated ski’s as well as poles to complete the aesthetic. Users then were immersed in a downhill ski experience that felt real, even in spite the fact that the hardware (Gear VR) isnt that robust. They had a few other demo’s available within the Gear VR but I didn’t stick around to try them out as I was looking for something a little more immersive. I moved on to the Holocube booth where they were not only showcasing holographic projections, but also an interactive display that allowed users to change clothes on an interface that had really cool retail application. Users could change simulated outfits (hats/shirts/pants/etc) and then see what those outfits looked like on a full screen digital display. I played around with this for a bit and it was a lot of fun, and I can see retail application for this working extremely well, even if the technology isn’t quite perfected. The ease of use for trying on different outfits could fit very will in any major retail clothing outlet like Zara, H&M, and any other major brand clothing company. From here I hopped over to an Oculus Rift booth that featured a few of the top Oculus titles being played in a seated experience environment. There was a line of people waiting to try out a horror experience as well as a deep blue sea underwater experience. Both of which require no controller and are fairly easy to setup for the end users. People seemed to enjoy it as there was a waiting list that was about 15 people deep, which is a good sign of things to come for the technology. I had already tried similar experiences so I didn’t wait around to hop in the demo’s. Microsoft also had their own display for a Hololens demo, but unfortunately they had some technical difficulties and my RSVP for the demo went in vain and I was unable to try it out. A shame because I was looking forward to finally checking out the Hololens in all its glory. I went from here to a session on how Virtual Reality is disrupting today’s markets, which also featured the Microsoft Hololens, so I was hoping to see the experience live during that session. Unfortunately they ALSO had issued during that session in getting the Hololens working, which doesn’t give me much confidence for the product coming to market. The session on mixed reality was interesting in that they introduced me to some new technology that I wasnt aware of in the virtual reality marketplace. Companies are starting to adopt new technology to make their lives easier and Virtual Reality is leading the forefront. Planograms: These were really cool diagrams that allowed retail products on shelves in a virtual environment so store owners could test out product placement and get feedback prior to launching a new layout for their store. The entire store would be mapped out in a virtual model that could be walked through and interacted with in order to get an idea as to how the layout would perform. Dark Stores: These dark stores were a level above planograms in that there are fully built out facilities that are being utilized by businesses in order to have a test layout live in the field for building out shopping automation. The entire store would be open to a select group of people who would then in turn rate it and provide feedback in order for companies to have a good idea as to the layout and how it would perform in the live market. These systems are being rolled out across the globe in order to help businesses succeed with their retail storefronts and are using technology to do so. The virtual reality component allows store owners to get a good idea as to what their ideal store layout should be and will allow businesses to save money and time by optimizing their stores from the get go. Overall the VR market is starting to pick up steam and the engagement of virtual reality apps and businesses is at a crux where front runners are investing in VR in order to improve internal processes and overall sales. VR is still in its early stages and is set to explode in growth in the next 2-3 years, and companies that are starting to adopt the technology today will be ahead of the curve tomorrow.